Spring Sentiments 6" x 6" Cardstock Pad. The Sweet Dixie card stock pads are heavyweight and 210gsm making them ideal for creating wonderful and decorative art and craft projects. Different designs and assorted colours provide various options for you to pick from. 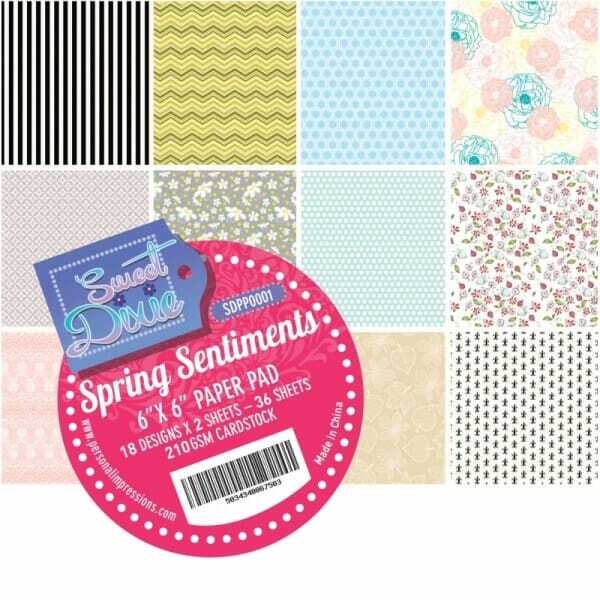 Customer evaluation for "Sweet Dixie Spring Sentiments Cardstock Pad"